Is the Carolina spirit dead? To the new men or to a stranger it might seem so. But those of us who have been here . . . know that such spirit as the Carolina spirit can never die. . . . That the glorious spirit is not dead is evidenced at the football games in the hearty cheering given the team. So begins a 1918 editorial in the Tar Heel, the student newspaper of the University of North Carolina. This was no anomaly. 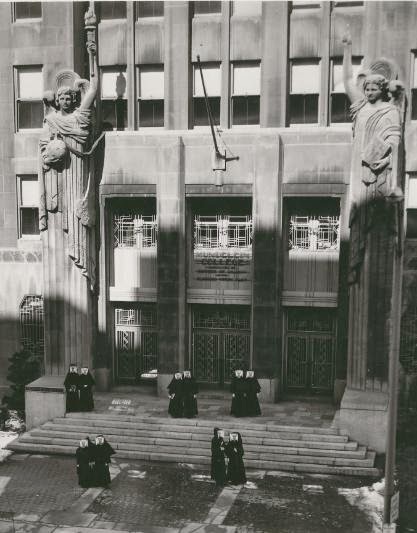 For decades before and after, pages of the Tar Heel spoke of "school spirit," the "Carolina spirit," "team spirit," or simply "spirit." This spirit-talk often infused with sports-talk, presenting the two as inseparable. College campuses weren't alone in coupling this potent mix. In 1920, a Baptist minister in Florida extolled the "educational force" of team sports, proclaiming: "There is in the spirit of team work a spirit of cooperation and mutual helpfulness. . . . A good foot-ball and base-ball team, if properly conducted and controlled, is a school of character." 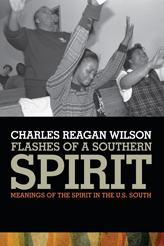 Rather fortunately, I discovered these sources while also reading Charles Reagan Wilson's Flashes of a Southern Spirit, a tour through southern politics, art, culture, literature, and photography that brings to light the complicated nature of "the spirit"—a category replete with religious meaning, yet resistant to strict theological definition. Alas, just like Wilson's Baptized in Blood gave me a vocabulary for writing what became Southern Civil Religions, it appears that Flashes will help me think through my next book on religion and sports in the South. Yet despite Professor Wilson's influence on my work, I had never met him in person until a few weeks ago when I traveled to Greenville, South Carolina, for the southeast regional meeting of the American Academy of Religion. I participated in a panel review of Flashes, along with Anne Blue Wills of Davidson College and Rodger Payne of UNC-Ashville. After the session, I sat down with everyone for a Journal of Southern Religion podcast. Wilson opened by giving an overview of his book. Then the panelists explained how the concept of "the spirit" might be used for analyzing everything from southern stereotypes on reality television (i.e., "camo underwear and fried squirrel brains"), to the unique religious culture of Italian Catholics in the region. While I left Greenville, "the spirit" stayed with me as I hosted an undergraduate conference at my home school of Saint Francis University. In preparing for my podcast with Randall Stephens—the conference's keynote speaker—I was drawn to a line in his co-authored book, The Anointed: Evangelical Truth in a Secular Age. The authors contend that Tim LaHaye, "fervently believes he is simply interpreting the Bible with integrity, as led by the spirit of God." It strikes me that this same "spirit" of divine authority informs the perspectives of the other evangelical "experts." Listen to the podcast (or read The Anointed) and decide for yourselves. It didn't take much imagination for me to find "the spirit" with my next podcast guest, Joseph Williams of Rutgers University. He was also in town for the undergraduate conference, so we talked about his new book, Spirit Cure: A History of Pentecostal Healing. 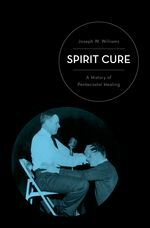 In this conversation, Joseph explained how the history of healing practices in pentecostalism is marked by pragmatic exchanges with everything from mainstream medicine to metaphysical religion. We finished the conversation with Joseph previewing his newest project, an examination of the idea of prophecy in pentecostalism. OK, I think I'm reaching some sort of limit on spirit-talk for one blog post. I can only say that once you've read Flashes of a Southern Spirit, the book becomes something of a hammer, which makes all of your sources look like nails.